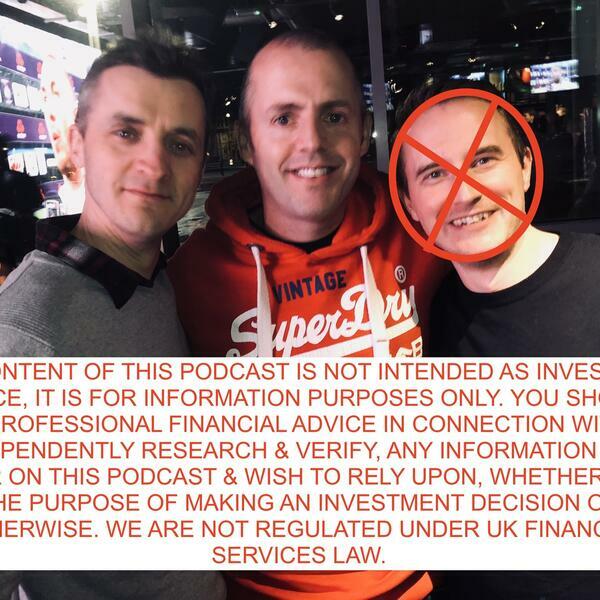 THE CONTENT OF THIS PODCAST IS NOT INTENDED AS INVESTMENT ADVICE, IT IS FOR INFORMATION PURPOSES ONLY. YOU SHOULD TAKE PROFESSIONAL FINANCIAL ADVICE IN CONNECTION WITH, OR INDEPENDENTLY RESEARCH AND VERIFY, ANY INFORMATION THAT YOU FIND ON THIS PODCAST AND WISH TO RELY UPON, WHETHER FOR THE PURPOSE OF MAKING AN INVESTMENT DECISION OR OTHERWISE. WE ARE NOT REGULATED UNDER UK FINANCIAL SERVICES LAW.